perpetually aiming at impracticable precision. … He could not bear, for the sake of clearness and the reader’s ease, to say, as ordinary men are content to do, a little more than the truth in one sentence, and correct it in the next. The whole of the qualifying remarks which he intended to make, he insisted upon imbedding as parentheses in the very middle of the sentence itself. … [Eventually] he could stop nowhere short of utter unreadableness, and after all attained no more accuracy than is compatible with opinions as imperfect and one-sided as those of any poet (Mill, essay on ‘Bentham’). Mill’s advice is very valuable. While we should strive for clarity, often we must accept ambiguity in order to stop our writing from becoming unreadably Benthamite, brimming with qualifications, clarifications and distinctions. Making our writing so complicated means that what should be an “aah!” for the reader becomes an “argh!”. Consequences and intentions, – intentions, considered in respect of the consequences, to the production of which they are directed, or at any rate in respect of the consequences which at the time of the intention, a man actually had, or at least ought (it is supposed) to have had in view, – these, together with the acts which the intentions in question are considered as having been directed to the production of, or as having a tendency to produce, – will (it is believed) be seen to be the only subjects to which, in the character of attributives, such adjuncts as ‘good’ and ‘bad’ can either with speculative propriety, or without danger of practical error, in so far as acts, and springs of action are concerned, be attached. Only acts and intentions can be said to be good or bad. Bentham should have started with that, then added qualifications in the next sentence if needs be. I’m not against complexity and precision. I’m against unnecessary complexity and pedantic precision which clouds the meaning of what is written. 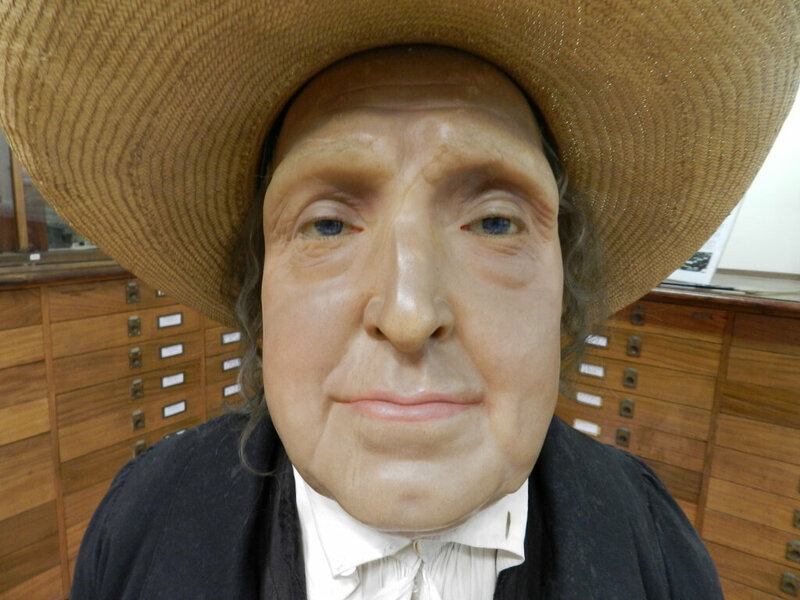 The late Bentham, alas, is very cloudy. We can help our readers understand an idea by contrasting it with a related but different idea. [Welfare is] the good of a person in the sense of what benefits her. This differs … from what a person herself values, prefers, or takes an interest in. Darwall is distinguishing objective and subjective welfare, and focusing on the former. Making the distinction explicit helps us see what he means. In my earlier post about ‘non-definition definitions’, I criticised Isaiah Berlin’s lack of clarity over positive liberty. But Berlin is much clearer about negative liberty. One reason is that he distinguishes it from ability: if I cannot understand Hegel, this is a lack of ability, not a lack of negative freedom, because no one has stopped me from understanding Hegel. Further differentiation of these ideas would help: for example, Berlin is not explicit about whether negative freedom and ability are two separate things, or whether negative freedom is one kind of ability. But what he writes certainly gives us a better sense of what he has in mind. linked specifically to a character’s gender or sexuality. Female characters who happen to be involved in violent or combat situations on relatively equal footing with their opponents are typically exempt from this category because they are usually not framed as victims. The video at this point shows two women fighting each other in a typical Streetfighter-style fighting game. That isn’t violence against women as women; it’s just violence which involves two people who happen to be women but could have been any gender. By contrasting her notion to a different notion, Sarkeesian helps us understand what she is and isn’t discussing. It’s a simple but effective way of helping our readers see what we are focusing on. 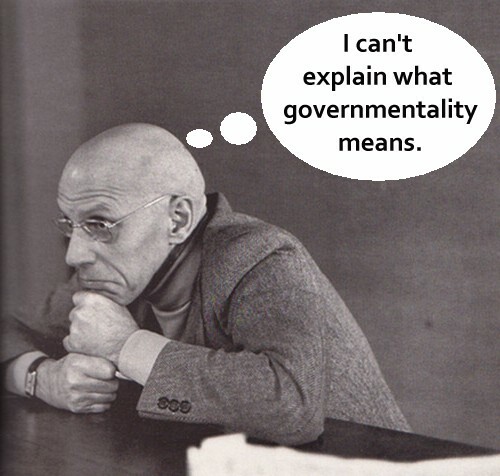 Foucault’s definition of governmentality is widely quoted but rarely criticised. Yet as I argue in Part 1 of this two-part post, Foucault’s definition is unclear and inconsistent. This is not a major problem, because his later account is fairly clear and coherent. What is a problem, I suggest in Part 2, is that many scholars are not explicit about Foucault’s initial unclarity or inconsistency, presenting the definition as self-explanatory, and often confusing its components. My aim is not so much to chide Foucault as to warn uncautious readers that many interpreters of Foucault may not have read him closely enough. The same is doubtless true of me, of course, and I welcome efforts to correct my interpretation. 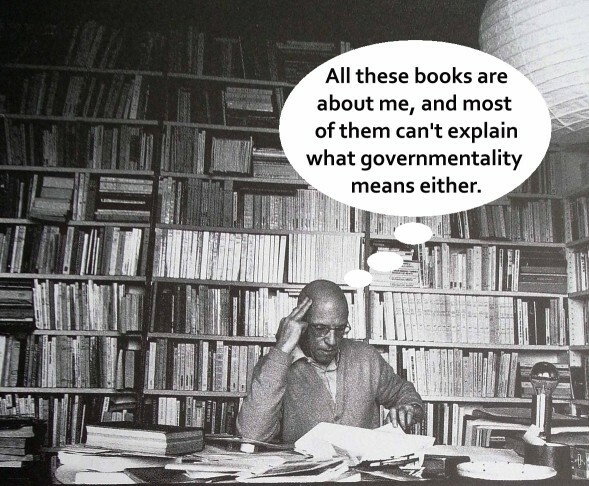 In lecture 4 of Security, Territory and Population, Foucault gives a definition of governmentality with three components. 1. The ensemble formed by the institutions, procedures, analyses and reflections, the calculations and tactics that allow the exercise of this very specific albeit complex form of power, which has as its target population, as its principal form of knowledge political economy, and as its essential technical means apparatuses of security. This is not very clear. My guess is that if this is the first and only thing you read about governmentality, you’ll struggle to grasp what it involves. The last two-thirds of this sentence is about the kind of power which governmentality allows, and only the first third says what governmentality is – the ‘ensemble formed by the institutions, procedures, analyses and reflections, the calculations and tactics’ that allow a particular kind of power to be exercised. But I’m not sure what that means. I don’t want to sound too critical of Foucault: definitions can be hard to understand. The problem, as we’ll see in Part 2, is that Foucault’s interpreters often present this component of the definition as if it is self-explanatory: very few follow it up with the clarifications, examples or distinctions that we need to understand it. ‘Governance’ is a descriptive label that is used to highlight the changing nature of the policy process in recent decades. In particular, it sensitizes us to the ever-increasing variety of terrains and actors involved in the making of public policy. Thus, it demands that we consider all the actors and locations beyond the ‘core executive’ involved in the policy-making process. This tells us what governance highlights, what it sensitizes us to, and what it demands we consider. It doesn’t tell us what governance is. Fortunately, this conceptual flaw doesn’t undermine Richards and Smith’s fine substantive analysis. The same cannot be said for Isaiah Berlin’s ‘Two Concepts of Liberty’, one of the most destructive essays ever published in political theory. Berlin’s lack of clarity weakens his own claims and has led many people astray. For example, when he introduces ‘positive liberty’ at the start of section 2, he writes that it ‘derives from the wish on the part of the individual to be his own master’. That tells us what positive liberty derives from, not what it is. 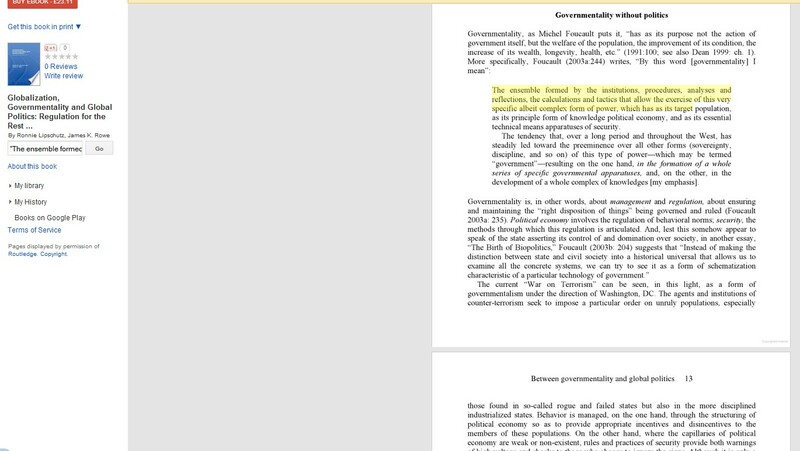 This error is repeated by Charles Taylor: positive liberty ‘resides … in collective control over the common life’. Again, this does not tell us what positive liberty is, only where it resides. Note, too, that Berlin and Taylor depict the idea differently – a direct consequence of the unclear and inconsistent definitions of positive liberty in Berlin’s essay. Here are two examples of much clearer definitions. The first is from the start of Stephen Darwall’s book Welfare and Rational Care: welfare is ‘the good of a person in the sense of what benefits her. This differs … from what a person herself values, prefers, or takes an interest in’. In order to change policies … a certain number of individual or collective actors have to agree to the proposed change. I call such actors veto players. Veto players are specified in a country by the constitution … or by the political system …. I call these two different types of veto players institutional and partisan veto players, respectively. Beautifully clear – a model for all of us.